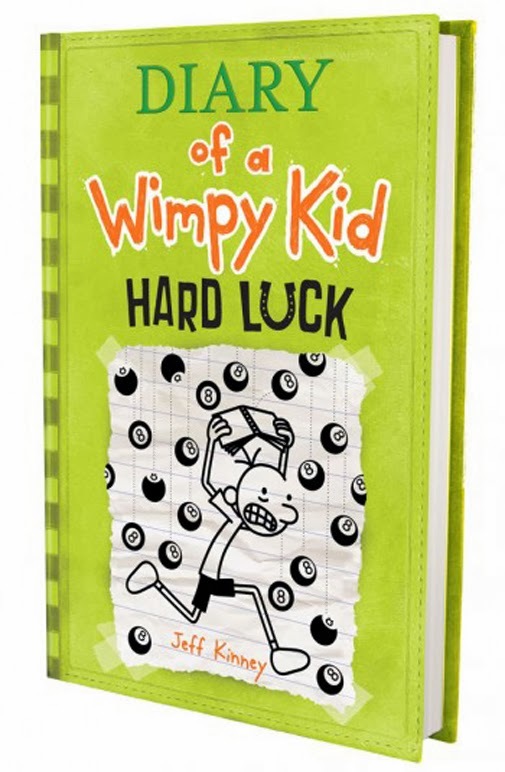 The newest Diary of a Wimpy Kid book - Hard Luck - comes out today! You can bet Gus will be in line to buy that one. He's read and re-read all of them a million times. Speaking of Wimpy Kids... 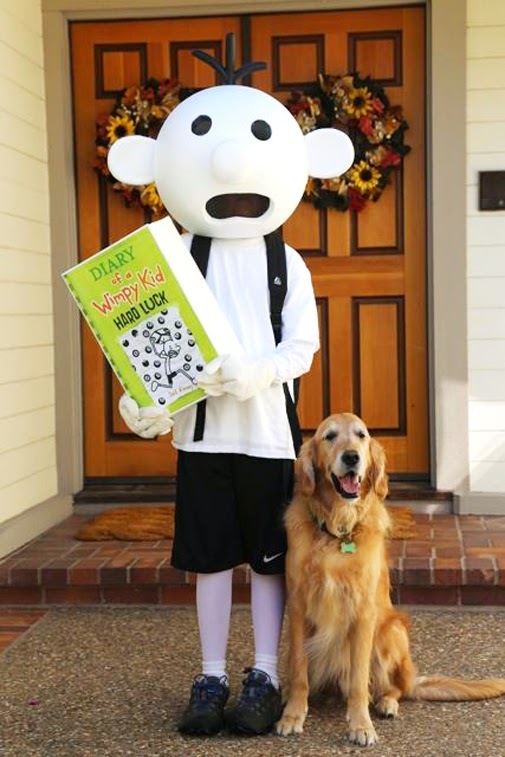 I just wanted to share a couple of fantastic Greg costumes that some blog followers made this year, modeled after Gus' Halloween costume in 2011. 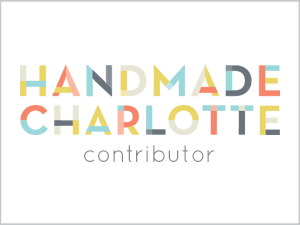 I'm so, so, so impressed with how they turned out. And even more excited to hear that the kids wearing these costumes LOVED them. Makes my heart smile. One of my favorite messages came from this mom: "He was a total rock star at his parade -- people I'd never even seen before were asking to take pictures of him and with him. 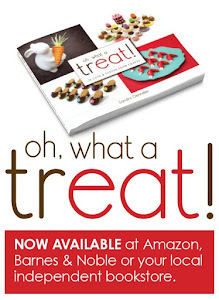 It was unbelievable and a wonderful treat for my kid." Great job, moms & dads! And thanks for sharing your photos and stories with us. 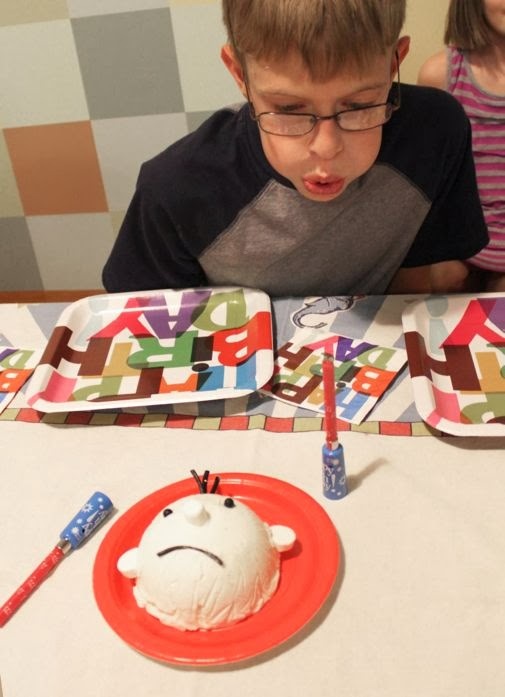 By the way, if you ever need an easy Diary of a Wimpy Kid dessert idea, here's a Wimpy Kid cake and ice cream treat I made a few years ago for Gus' birthday. 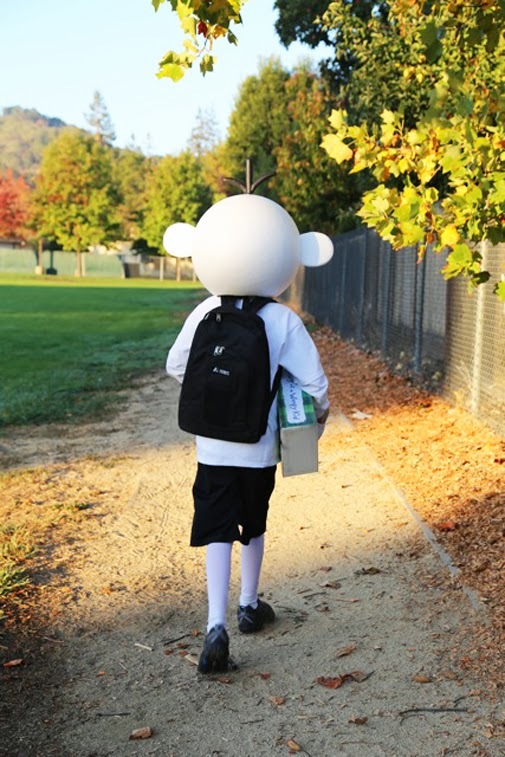 Let's celebrate the wimpy kid in all of us! 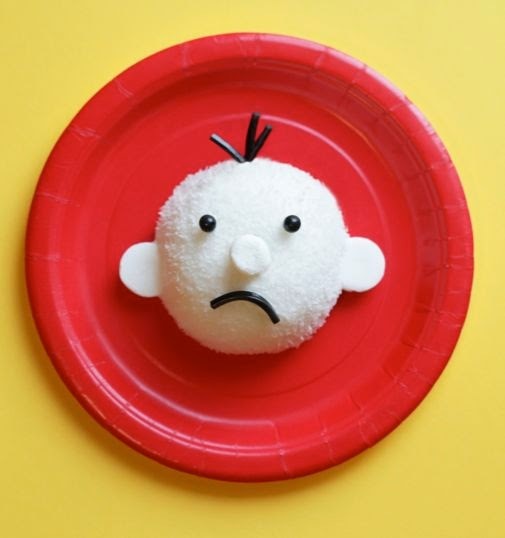 Make these Wimpy Kid cakes with Sno Balls. 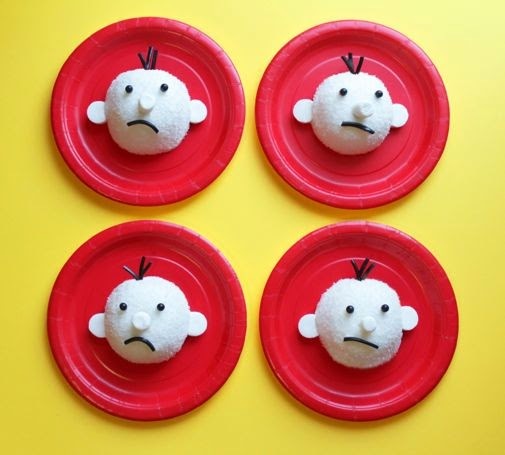 These Wimpy Kid faces are made out of vanilla ice cream.